Every year the high school in my district has "Cultural Heritage Week". 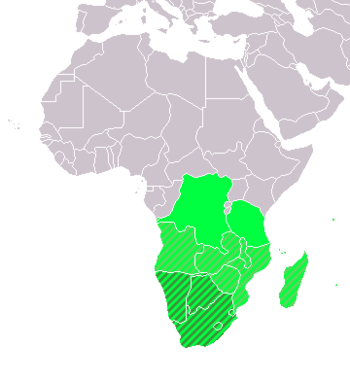 This year they chose Southern Africa as the focus. Each of the elementary Art teachers is supposed to teach a 6th grade lesson based on Southern Africa. I have been using Pinterest to collect images for my research. (You can see my Southern African Art board here.) Anyway, I was just sitting here thinking about how cool it would be if we could somehow connect with students actually living in Southern Africa. Wouldn't that make it so much more meaningful for the students? I would love to do some sort of Art swap or even just send a letter and some artwork to give a school there. The problem is, I'm not sure how to go about doing this. So I am reaching out to the wonderful community we have here, in the hopes that someone might either BE in Southern Africa, KNOW someone in Southern Africa, or know HOW to go about making connections! I don't know where to start! Any help you can offer would be greatly appreciated. If you have ideas for me, you can comment here or email me at catharine.morris@yahoo.com. *So far, I just searched for schools in South Africa (using this website http://www.schoolguide.co.za/directory/search-results_m213/query:all/cat:6/order:featured/) and started emailing but I don't know if this is the best route to take! Last summer, my son spent 8 weeks in South Africa, 6 weeks on a college internship program "Entrepreneurship and Empowerment in South Africa" (in Stellenbosch, near Capetown), one week traveling independently along the "Garden Route" (including bungee jumping from the world's highest commercial bungee - yikes) and then 1 week meeting up with a relative of my husband that we'd never met near Johannesburg, and spent 5 of those days on a miraculous safari. I've posted photos of his trip a few times. He even saw a World Cup game while in Stellenbosch, and came home with (of course) a Vuvuzela. Anyhow, probably none of this helps you. The relative in Johannesburg has one child, but he is still a toddler so no school experience, and my son's experience had him dealing with struggling businesses in the local community so he did not visit schools. If you like, I'd be happy to email the relatives (my husband's brother's son and extended family) as he may be able to be of some assistance perhaps. Thanks, Phyl! I've emailed A couple schools so if none of my leads pan out I might take you up on that! Looking forward to being in contact with you!